ISTANBUL, Dec. 1, 2015 - Photo taken on Dec. 1, 2015 shows the explosion site near a metro station in Bayrampasa district of Istanbul, Turkey. 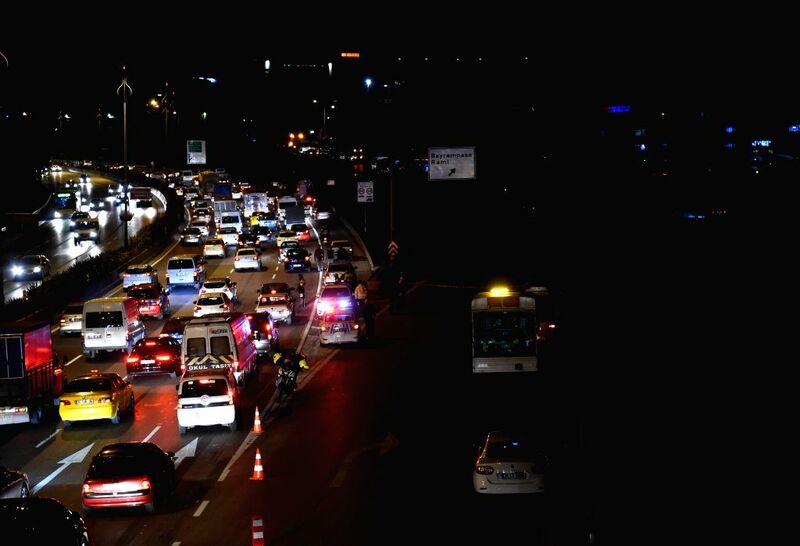 One person was killed and another wounded on Tuesday in an explosion near a metro station in Istanbul's European side district of Bayrampasa, local media reported. 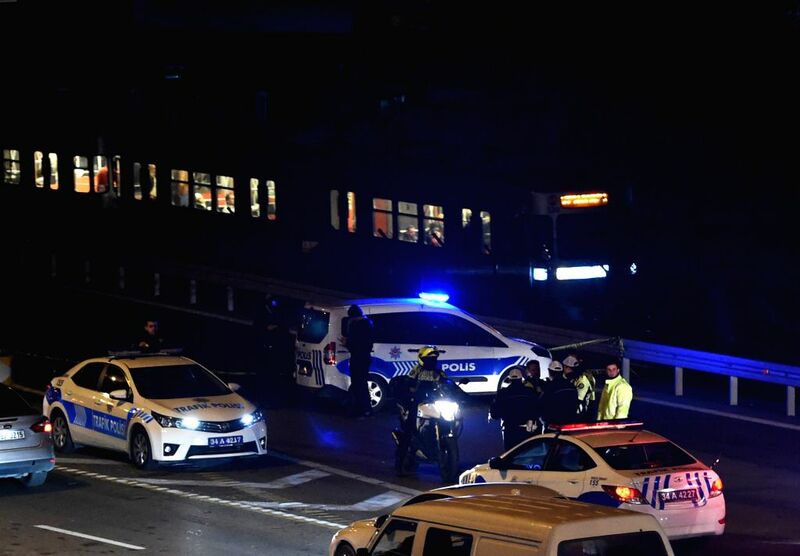 Police maintain order near the explosion site near a metro station in Bayrampasa district of Istanbul, Turkey, on Dec. 1, 2015. 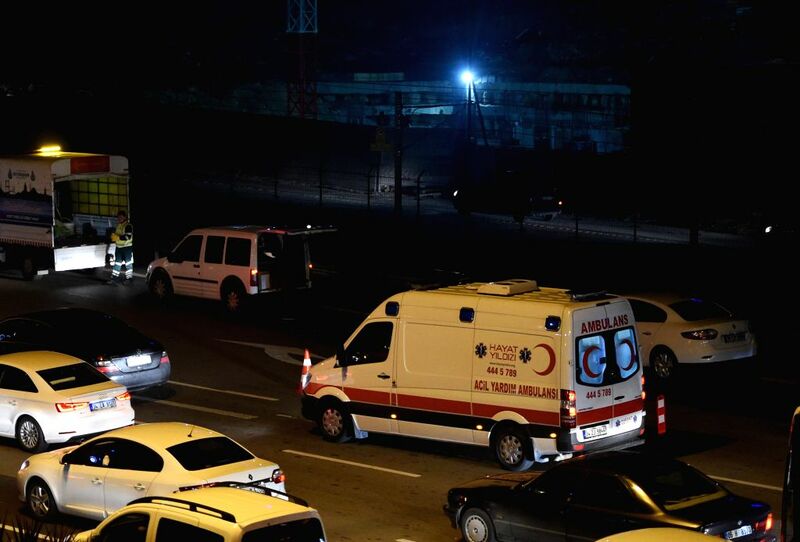 An ambulance is seen near a metro station in Bayrampasa district of Istanbul, Turkey, on Dec. 1, 2015.